You’re interested in buying a Raspberry Pi, but as soon as you start looking, you run into a problem: why are there so many models? While all of the various Raspberry Pis can perform many of the same jobs 20 Awesome Uses for a Raspberry Pi 20 Awesome Uses for a Raspberry Pi With so many cool projects for the Raspberry Pi, it can be hard to decide what to make. In this mega guide, we round up 20 of the very best projects around! Read More , there are particular tasks that specific boards are more suited to. For instance, the Raspberry Pi Zero has a lower form factor than the others, so is often used in projects with limited space. Here’s what you need to know about each Raspberry Pi model, and what sort of project they’re best suited to. As you probably know, several main models of the Raspberry Pi are available. At the time of writing, eight Raspberry Pis can be bought, but these are split into three types. Model A: First released in 2013, a second iteration (the A+) came along in 2014. Model B: Appearing as the very first Raspberry Pi in April 2012, a “+” model followed in July 2014. A few months later, the Raspberry Pi 2 was launched, in February 2015. This was succeeded by the v1.2 Raspberry Pi 2 in October 2016. The Raspberry Pi 3, meanwhile, came along in February 2016. Each of these Raspberry Pis use the B board, as opposed to the smaller A board. Zero: Finally, there is the Raspberry Pi Zero board, a smaller version of an already tiny computer. This first launched in November 2015 for just $5, and was succeeded by a 1.3 board in May 2016. A third board, the Zero W, hit the shelves in February 2017, while the Zero WH was unveiled in early 2018. While they may appear very similar, these boards only have a few identical components. For instance, they all use the same graphics set up: Broadcom VideoCore IV, OpenGL ES 2.0, MPEG-2 and VC-1 (with license), and HDMI support with the 1080p30 H.264/MPEG-4 AVC high-profile decoder and encoder. Although three “flavors” of Raspberry Pi are offered, only a subset of them are currently available to buy. Read on to find out more, their specifications, and their best usage. When you’re ready to buy, check our getting started guide Raspberry Pi: The Unofficial Tutorial Raspberry Pi: The Unofficial Tutorial Whether you're a current Pi owner who wants to learn more or a potential owner of this credit-card size device, this isn't a guide you want to miss. Read More to discover more about the Raspberry Pi! Measuring 65 mm × 56.5 mm × 10 mm and weighing 23 grams, the Model A+ is a revision of the discontinued Model A. Smaller than its predecessor, it uses the ARMv6Z (32-bit) architecture, with Broadcom BCM2835 System-on-a-Chip (SoC). This comprises a 700MHz single-core ARM1176JZF-S CPU, 512MB of RAM, and the same graphics that appear on every Pi model to date. The device has one USB port, and a 15-pin MIPI Camera Serial Interface (CSI) connector. This can be used with the Raspberry Pi Camera Module and its NoIR variant. A MIPI display interface is provided for LCD panels, while the 3.5 mm TRRS jack handles composite video and audio out. A standard HDMI-out is also on the board. Unlike the original Model A, the A+ features a microSD card slot. There’s also a 40-pin array — 28 of these are for the GPIO, with the remainder for I2C, UART, and SPI. These are for connecting various types of hardware. 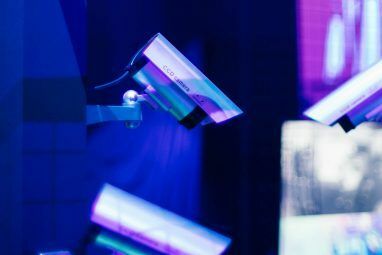 Best Use: The limits of the Model A+ make this Raspberry Pi particularly suited as a motion sensing security camera. Consider it also for a robot brain, NAS controller, or even at the heart of a high altitude balloon. 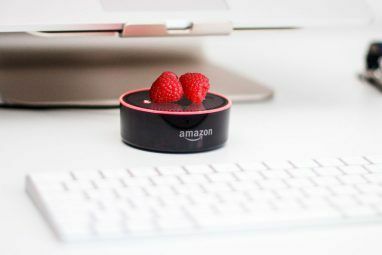 Using the same architecture and SoC as the A+, the Raspberry Pi Model B+ is a larger 85.6 mm × 56.5 mm, providing space for additional connectivity. This increases the weight to 45 grams. Four USB ports are provided. This is via the five-port, onboard USB hub — the fifth port is dedicated to an Ethernet port (10/100 Mbit/s). Like the Model A+, a 15-pin MIPI camera interface (CSI) connector is mounted, along with the MIPI display interface (DSI) for raw LCD panels (various LCD displays can be bought for Raspberry Pi computers). This is the first version of the Pi to offer a microSDHC slot, for high speed microSD cards. Best Use: You can run a low level server with the B+. Something like a wireless print server, for instance, or a network monitoring tool. Repeating the B+ form factor, the Raspberry Pi 2 has the same dimensions and weight (85.6 mm × 56.5 mm, 45 grams). This time, however, the hardware has been stepped up. Now built to the ARMv8-A (64/32-bit) architecture, the Pi 2 features a Broadcom BCM2837 SoC, with a 900MHz 64-bit quad-core ARM Cortex-A53, and a comparatively massive 1 GB of RAM. Beyond this there are no differences with the B+, but the faster CPU and RAM increase deliver a considerable performance boost. Best Use: My own Pi 2 has been used for several projects, such as an inspiring digital picture frame ShowerThoughts and EarthPorn: Make an Inspiring Raspberry Pi Photo Frame ShowerThoughts and EarthPorn: Make an Inspiring Raspberry Pi Photo Frame Read More . It’s even been used to install and run Doom without emulation. This is a versatile device that can even be used as a desktop computer. Stepping up the specifications of the Model B design further, the Raspberry Pi 3 — with the same weight and dimensions — features a 1.2GHz 64-bit quad-core ARM Cortex-A53 (as opposed to the Pi 2’s 900MHz chip). Also included is a massive USB resource boost. No longer limited to USB Bluetooth and Wi-Fi dongles, the Pi 3 has 802.11n wireless and Bluetooth 4.1 onboard. This means that power is correctly regulated to these devices (some dongles were unreliable) and up to two USB ports are freed up for other purposes. Although it has the now-standard microSDHC-compatible card slot, note that the Raspberry Pi 3 can also be booted from USB How to Make Raspberry Pi 3 Boot From USB How to Make Raspberry Pi 3 Boot From USB The Raspberry Pi is a versatile piece of kit, capable of a diverse range of tasks. But it has one glaring flaw: the inability to boot from USB. Until now, that is. Read More . Best Use: pretty much anything that isn’t limited by size. The Pi 3 is the most powerful version, making it particularly ideal for retro gaming emulation Retro Gaming in Style With RecalBox for the Raspberry Pi Retro Gaming in Style With RecalBox for the Raspberry Pi RecalBox brings together classic emulators with a fantastic unified user interface that makes choosing games and configuring your controllers easy. Read More , or as a Kodi box Install Kodi to Turn Your Raspberry Pi Into a Home Media Center Install Kodi to Turn Your Raspberry Pi Into a Home Media Center If you have a Raspberry Pi, you can turn it into a cheap but effective home media center just by installing Kodi. Read More . A Raspberry Pi 4 is expected to supersede this model, but isn’t expected until at least 2019. A third version of the Raspberry Pi was released to great fanfare in late 2015. Costing just $5, the computer was the first to be mounted on the front of a magazine! Sitting at just 65 mm × 30 mm × 5 mm and weighing a tiny 9 grams, the Pi Zero is ideal for any project where space, and weight, are a premium. It might be smaller than previous Raspberry Pi models, but the Zero is just as easy to use Getting Started with Raspberry Pi Zero Getting Started with Raspberry Pi Zero Whether you bought a magazine with one glued to the front, or found a kit online, the chances are you're now the proud owner of a $5 computer: the Raspberry Pi Zero. Read More . When the original Pi Zero launched, it marked a major change in how the Raspberry Pi was perceived. No longer was the device limited by its size. USB ports and GPIO were shrunk or removed entirely. Lightweight, and half the size of the B+, the Zero is nevertheless a powerful little computer. The Raspberry Pi Zero has a 32-bit ARMv6Z architecture with the Broadcom BCM2835 SoC found in the Model A and Model B+ Pis. Similarly, the CPU is a 1GHz single-core ARM1176JZF-S, similar to that found on the original Pis (but bumped up from 700MHz). It has 512MB shared RAM, and the 1.3 revision boards (those released since May 2016) also have the MIPI camera interface. Equipped with a micro USB for power, and another for data only, the Pi Zero has mini HDMI-out and a microSD slot as expected. Stereo audio can be output via the GPIO. Although the GPIO pins are removed, the array — along with the Run and TV I/O — remain. This means that they can still be used, either by soldering, or manually adding GPIO pins (kits are available). 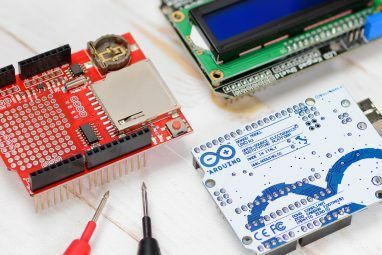 While the Raspberry Pi Zero was a good board, the limited USB connectivity made connecting devices or getting online tricky. Taking a leaf out of the Pi 3’s book, the Pi Zero W added Bluetooth and wireless connectivity to the earlier board. Running a compact project that you need remote access to? The Pi Zero W is ideal! Released in early 2018, this version of the Raspberry Pi Zero is identical to the previous release. Identical, that is, but for one key difference: it has GPIO pins! This makes it ideal to anyone who hates soldering, but needs a Pi Zero because of space limits. Best Use: The Pi Zero models are ideal for any project where space is a premium. For instance, one can be used to run the type of retro gaming system where the Pi is embedded in the TV. The Pi Zero is also popular for many other retro gaming projects 5 Retro Gaming Projects with the Raspberry Pi Zero 5 Retro Gaming Projects with the Raspberry Pi Zero The Raspberry Pi Zero has taken the DIY and homebrew world by storm, making it possible to revise old projects and inspiring newcomers, especially in the fevered minds of retro gaming fans. Read More . In addition to the standard models, the Raspberry Pi Foundation has released another version of their SBC. The Compute Module has had three iterations, and an IO breakout board. These devices have the same specifications as the main Pis, but are intended for internet of Things developers. However, enthusiasts can also buy them. This shouldn’t stop you attempting IoT projects on your standard “consumer” Raspberry Pi, however. 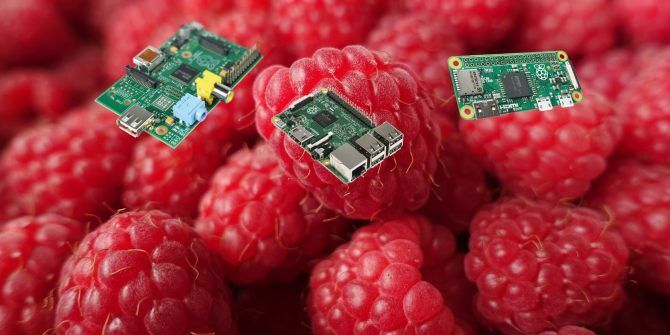 Which Raspberry Pi Do You Prefer? Sure, all of these Raspberry Pi’s are particularly good for specific tasks. But their flexibility means they can usually be swapped around. So, for instance, you could run Kodi on a Pi Zero W, or send a balloon into orbit with a Raspberry Pi 3. Admittedly that might be overkill, but you get the idea. Which Raspberry Pi model do you prefer? Is there one you always return to, or are you happy to embrace them all? And what do you expect from the Raspberry Pi 4, when it eventually arrives?